Send your email to Garmin at the above address or you can personally visit the place on the given address. Communicate with Garmin through the email address displayed above for any query, help, suggestion and feedback. Pick up your phone and call Garmin on the specified contact number. Let Us Know HERE if the provided contact numbers, email address or website of Garmin are invalid. Open www.garmin.com website and get all required information from there. Are You Satisfied After Making Call To Garmin? Garmin is a public limited company that is engaged in designing, developing and marketing different types of navigation and wireless devices, and softwares for the aviation, marine, fitness, sports, outdoor, recreational purposes, automobiles, etc. The company was introduced in the 1989 year with the efforts of Gary Burrell and Min Kao. Garmin Ltd is listed on NASDAQ stock exchange. It started its journey with the name ProNav, and later on adopted the name Garmin. Garmin Company designs, and manufactures a wide variety of GPS receivers, avionics, and other navigation, communication products for the global positioning system. The company's products line includes Marine GPS, Handheld GPS, PDA receivers (personal digital assistant), Automotive GPS, and much more, and has given several names such as GTN 750, G1000, GPSMAP396, GPSMAP495, GPSMAP496, GPSMAP 696, G300 G3X, G500 G600 G900X G950, and many others. On the other hand, it also makes a vast range of sonar fishfinders. In addition to the GPS and navigation devices, Garmin Limited Company designs numerous navigation applications for computer and Mobile phones. Its mobile apps work on the platform like Android, Iphone and Windows phone. Garmin Limited Company designs it's first GPS device in the 1989 year, and given the name as GPS 100, which was designed for the marine operations. Since 2000, the company designs and manufactures the different types of GPS receivers. In the August 2003 year, the Garmin Limited Company took possession over the UPS Aviation Technology, Inc., in order to extend its GPS/NAV/COMM unites and integrated cockpit systems products line. It offers more than 60 models that helps the customers to reach different destinations through navigation system. The main aim of the company is to develop high quality and innovative GPS devices for road, automotive, sports, marine, outdoor, fitness, and aviation. In addition to the United States, the Garmin Company runs its business in several other countries like United Kingdom, Taiwan, Canada, India, France, and many more. Garmin Limited Company runs its business in given above countries under the different names such as Garmin AMB in Canada, Formar in Belgium, Belanor in Norway, Trepat in Spain, Garmin -Cluj in Romania, and much more. According to the record of May 2014 year, it sells approximately 126 million GPS units across the globe. The company was established in Lenexa, Kansas, USA. The complete head-office address of Garmin company is 1200 East 151st, Street Olathe, Kansas 66062-3426, United States. For any queries, and need technical support the customer can contact to the Garmin company's representative by dialing above written Garmin customer service number. According to the record of February 2014 year, the company holds the strength of approximately 10,086 employees. The customer fax details to the given above Garmin head-office fax number, and send their documents in a easy and secure manner. The people living in the United States, can contact to the Garmin help center by dialing above written Garmin toll-free number. To request for the bulk quantities, the customer can contact to the Garmin Company's representative by dialing above given helpline number. The working hours of the Garmin customer service center are Monday to Thursday from 8:00 am to 6:00pm, and Friday from 8:00 am to 5:00 pm. By visiting given above web link, you can find-out the nearest Garmin autorized retail store. The Garmin Limited Company retails its wide collection of GPS or navigation products and systems, through its large network of more than 3,000 distributors and dealers located in different destinations across the globe. There are two ways to shop the Garmin Company's products. The customer can purchase company's products either by calling at given above contact number. Secondly, the customer can send a mail to the chiphoneorder@garmin.com in order to shop company's products, and also can contact for the payment deails. The complete address of the Garmin Store is 663 Michigan Ave., Chicago, Illinois IL 60611, United States. Garmin company offers online shopping experience to shop a variety of products by simply visiting above written official , and also provides shipping service for the customer covenience. For more information, about the Garmin Company's products, the customer can visit above given garmin official . To order the company's product from the Garmin Chicago store, the customer can send a mail to above written Garmin customer service email-id. Garmin Ltd company operates all assets of Garmin International Incorporation, and Garmin (Asia) Corporation as other divisions. To contact to the Garmin International Incorporation headquarters, the customer can dial above written Garmin International Incorporation customer service number. 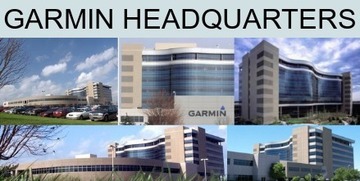 The complete head-office address Garmin International Inc., is 2345 Turner Rd SE, Salem OR 97302, United States. The complete address of Garmin Asia Corporation is No. 68, Zhangshu 2nd Road, Xizhi Dist., New Taipei City 221, Taiwan. You can contact to the Garmin Asia Corporation by dialing above written Garmin head-office contact number. The Garmin Asia Corporation Headquarters Fax Number is 886 2-26429099. The person can get all the information related to jobs, and other on going recruitment opportunities of the Garmin Company. Follow the above written garmin job career link for all the latest information related to job, career and public notice. Garmin resides at 1200 East 151st Street Olathe, Kansas 66062-3426, United States provides here all the necessory details like helpDesk helpline numbers i.e. +1 800-800-1020, 913-397-8200, 1-800-525-6726 by which customers can reach to Garmin easily. Here on this page you can get customer service toll free helpline number of Garmin. you can contact them by their email address chiphoneorder@garmin.com. Go to Garmin website that is www.garmin.com and get more information from there.